The money will go toward knocking down 12 buildings on Grand Avenue, and then developing retail and office space and apartments. State, county and town officials announced Monday a $1 million state grant to revitalize downtown Baldwin. The money is part of $2.8 million in total being awarded as part of the state’s most recent round of municipal revitalization efforts through the Restore New York Communities Initiative, according to a news release from Gov. Andrew M. Cuomo’s office. Southampton also received $1 million and New York City got $857,874. “Downtown communities are vital to keeping our economies thriving and to attracting businesses and families to put down their roots in New York,” Cuomo said in the release. 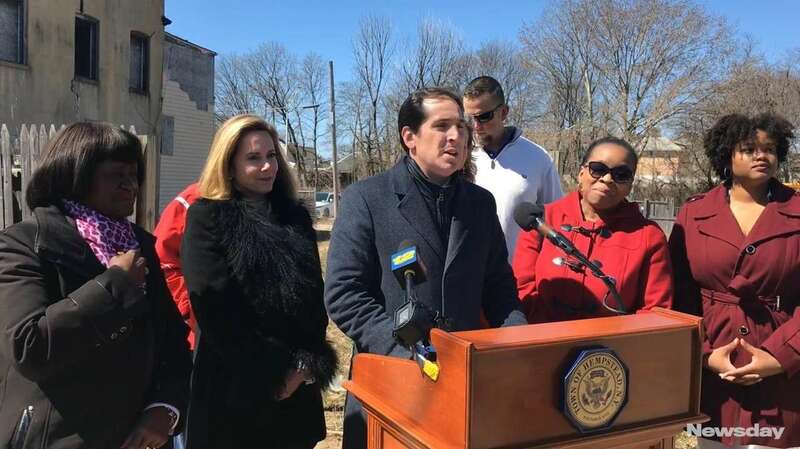 State Sen. Todd Kaminsky (D-Long Beach), Nassau County Executive Laura Curran, Town of Hempstead Supervisor Laura Gillen and Senior Councilwoman Dorothy Goosby made the Baldwin announcement on Grand Avenue alongside several residents in front of a vacant lot alongside a dilapidated building. Curran currently lives in Baldwin, and Gillen grew up there. The redevelopment is aimed at updating the hamlet’s blighted downtown after more than 15 years of efforts to do so by local elected officials and residents. The grant will go toward the demolition of 12 buildings on Grand Avenue and, subsequently, the construction of a mixed-use development on the land. “This funding will assist in revitalizing Baldwin’s downtown in an effort to attract new residents, visitors and businesses, and bring in much needed economic activity,” Kaminsky wrote in a December letter to the commissioner of Empire State Development, the agency implementing the grant. 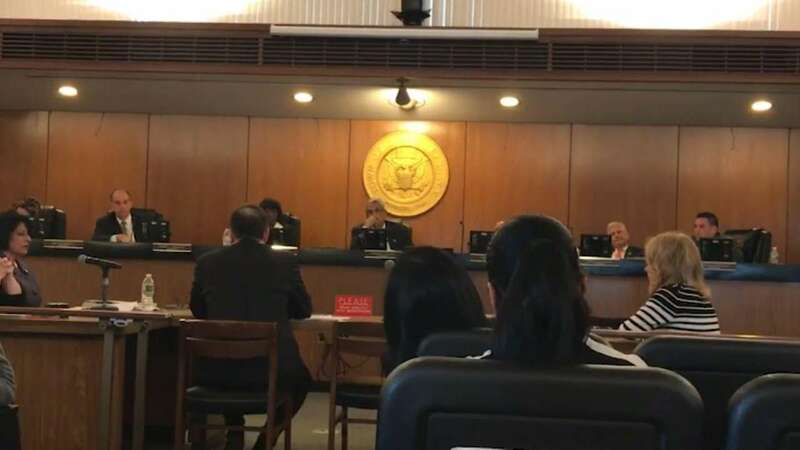 Last year, the Hempstead Town Board voted to award a contract for the downtown’s redevelopment to master planners Woodmere-based Basser-Kaufman and Garden City-based Engel Burman Group. The developers are in negotiations with property owners on Grand Avenue to acquire the current buildings and land but eminent domain could be used, Gillen said. There will be retail on the ground floor of the development, office and medical space on the second floor and housing on the third and fourth floors, officials said.